provides first-class pampering and professional grooming in Dahlonega, GA.
For full-service dog grooming in Dahlonega, GA, choose Rock House Groom & Board. You will be glad you did! Stop in Rock House Groom & Board for a visit today! For IMMEDIATE response, please text me at (678) 316-6683! 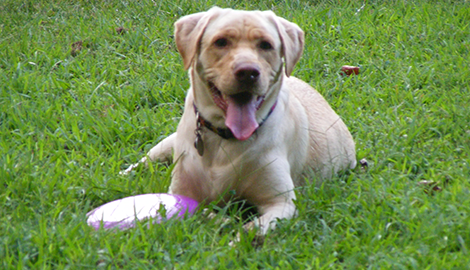 Rock House Groom & Board in Dahlonega, GA provides high-quality doggy day care with all the amenities. When you visit the Rock House Groom & Board, you will be impressed. Our passion for animals is evident, and we work hard to ensure your four-legged family members receive loving care. Our full-service facilities provide all the amenities and are clean, inviting, and spacious. We treat your pets like royalty when they arrive for grooming services. 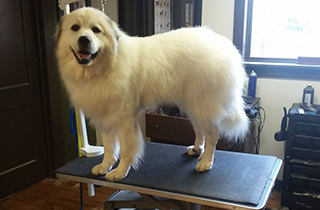 From bathing to clipping and styling, our professional groomers will make your animals look and feel their best. We cater to cowards. Our warm and nurturing staff will spend time with your pet to ensure they are calm and comfortable. If you need to board your pet for an upcoming trip or vacation, we invite you to check out our beautiful kennels. With an open, grassy yard and an in-ground pool for dogs, your friend will have room to run and plenty of interaction. At Rock House Groom & Board, your loved ones are not confined all day, but instead are given many opportunities to walk, run, and play. Perhaps your pet needs special attention during the day. 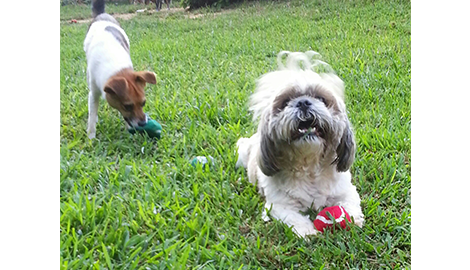 Our doggy day care is the perfect solution. 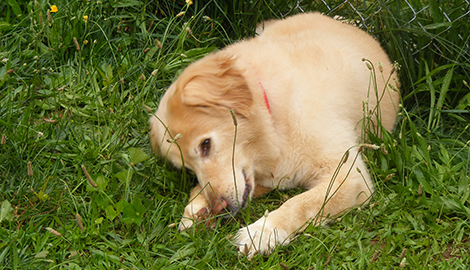 Our experienced team offers tender care for pets that find it difficult to be alone or may need special care. 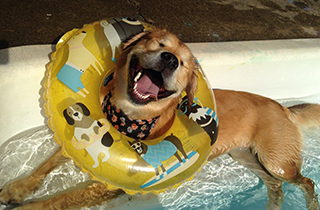 Our clean facilities and passionate care providers will treat your pet as their own. 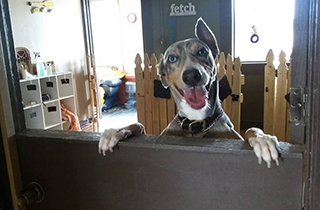 Our doggy day care is the best in Dahlonega, GA.
For a full-service grooming and boarding experience in a clean and nurturing environment, Rock House Groom & Board is the right choice. From at-home boarding to full-service grooming and doggy day care, we provide luxury services in Dahlonega, GA. Give us a call today!